Your choice of Digital or Mechanical. 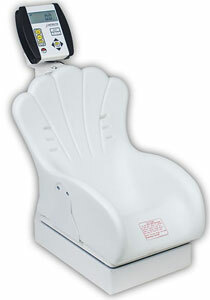 Infants readily accept the inclined seating of Detecto's digital pediatric scales. The built-in, shell-shaped seat may be mounted in three different directions and the plastic material allows for easy clean-up. With pound and kilogram readings and heavy-duty steel base and understructure for support and stability, these pediatric scales have a lot to offer. The 459-CH's die-cast weigh beam may be read from either the front or back of the scale. 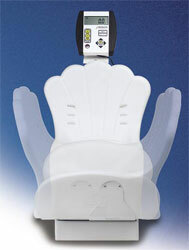 The contoured plastic built-in seat supports babies comfortably and safely while weighing. 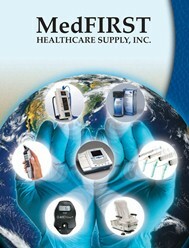 The heavy-duty steel base and understructure give the operator and patient assurance and safety. These scales are engineered with the active baby in mnd and are built with the superiour quality you expect from a Detecto Scale. The 8432-CH has a lock-in weight feature which compensates for typical baby movement. The crisp LCD features 0.75 inch high digits for easy readouts.